The name roots of the Club House are traced from old Ekaterinburg. In the beginning of the last century, Khokhryakov Street bore the name Tikhvinskaya. Thus the name Tikhvin appeared, suggesting an inextricable connection of history and modern age. The first block of the Club House was put in operation in 2005. 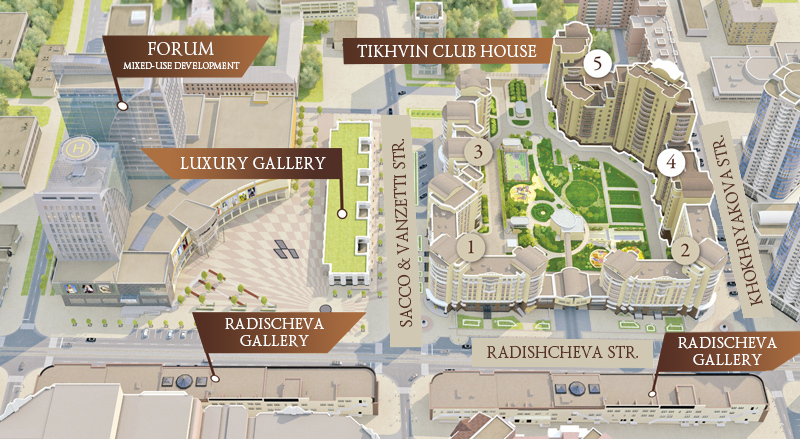 Today, Tikhvin is one-of-a-kind architectural complex of three residential blocks that includes both elite-class apartments and well-developed infrastructure for leisure and comfortable living.